optional "cloud" management function to achieve remote monitoring by computers and mobiles. The users only connect the power to use, is the easiest operation heat pump dryer. 3, Running Stable, operating easily All in one design, operation directly after power switched on. 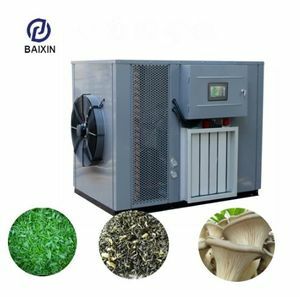 Promotion Price 300KG Salted Fish Dryer/Small Fish Drying Machine KINKAI Fish Drying Machine KINKAI heat pump fish drying machine is a device that transfers heat from a colder area (ambient temperature) to a hotter area (drying chamber) by using mechanical energy, as in a refrigerator. 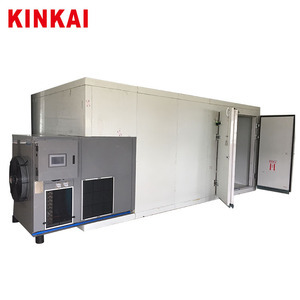 Temp: 75C Working Temp: -10~45C Functions: Heating / Cooling / Dehumidify Dryer Type: Batch Type Advantages Sells Point and Advantage of KINKAI Fish Drying Machine 1. 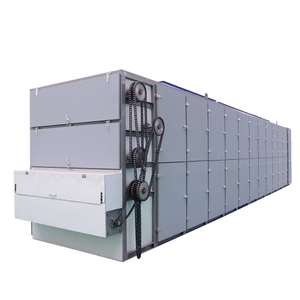 Energy saving & Environmental protection Adopt close dehumidify + circulating drying type, saving operating cost; Without waste gas and waste heat pollution, low noise 2. Running Stable, operating easily PLC + Touch Screen, running stable, operating easily; Adopt PLC control, can setting different drying curve, Suitable for drying different materials. 4. 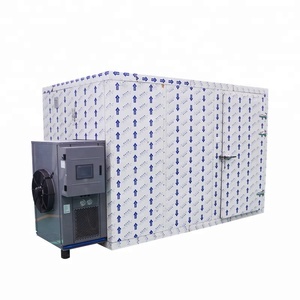 Exact control temperature and humidity According to different material setting different drying curve, the heat pump dryer can control the drying chamber temperature between 20-80&#8451; 5. Recovery volatilized component Some kinds of material contain volatilized component, in drying processing, hot and wet air will become condenser water then drain, collect the condenser water so that collect volatilized 6. Safe and reliable operation, automatic intelligent control, 24-hour continuous drying. Shandong Dongxuya Machinery &Equipment Co., Ltd.
Henan Meshen Machine Manufacturing & Trading Co., Ltd. 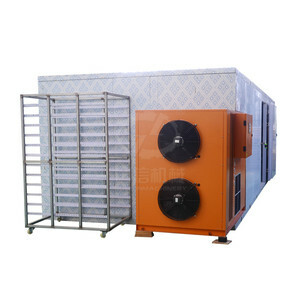 The high temperature heat pump drying unit adopts the reverse Carnot principle, absorbing heat from the surrounding environment and passing it to the heated material(high tmperature). High temperature drying can damage the nutrient content and impart an unpleasant smell to the dried product. Thanks for your interest in our machines, If you didn't get the suitable machine in this page, please email me your detailed requirement. It is the idealest dryer machine for dried fish process . We can provide cabinet hot air dryer ,mesh belt dryer machines . 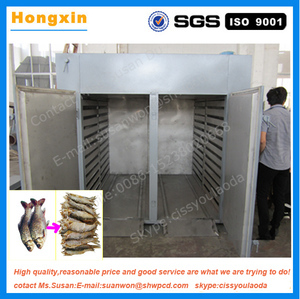 Fish drying machine is the best machine for dried fish process ! Dongguan Ouxun Energy Saving Technology Co., Ltd.
Zhejiang Qianjiang Wei'an Drying Equipment Co., Ltd.
Zhucheng Mingchao Mechanical Technology Co., Ltd. When drying, microwave converted into heat energy that can be applied directly to medium, because the microwave has penetrating performance inside and outside the media, heating at the same time, do not need to heat conduction, so very fast heating, the water content below 30% of food, can shorten the drying speed hundreds of times. Regardless of any shape objects, because the object of dielectric heating at the same time, both inside and outside material of inside and outside temperature difference is small, uniform heating, the drying quality greatly improved. Compare of the normal way drying and the microwave drying Drying m ethod Normal drying Microwave drying Principle Heat exchange Material itself produce heat Energy saving No energy saving Energy saving 30% Energy source Coal/steam/wood/infrared Electric Drying speed Slow 3-5mins Material drying situation Outer to inner drying Inner to outer drying Sterilize effect No Yes After drying moisture level 9% 3%, even lower. Based on the drying characteristics of the material to be dried, you can build your own drying house. 2, Working in wholly sealed drying room, hygiene and energy conservation Drying in a closed sealed room, no foreign material pollution. 3, Running Stable, operating easily All in one design, operation directly after power switched on. Why are Heat Pumps better than other forms of heating9 Heat pumps offer many benefits over other forms of heating. 3, We supply the spare parts and technical support in & after the warranty time. 3, Spare parts and technical support at most economic prices after the warranty. 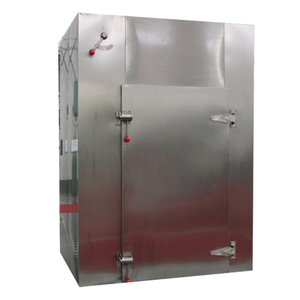 Alibaba.com offers 150 salted fish drying machine products. About 16% of these are drying oven, 3% are tray dryer, and 2% are dry cabinet. 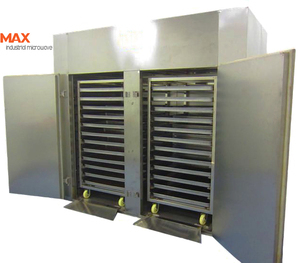 A wide variety of salted fish drying machine options are available to you, such as dry cabinet, drying oven, and tray dryer. There are 70 salted fish drying machine suppliers, mainly located in Asia. The top supplying country is China (Mainland), which supply 100% of salted fish drying machine respectively. 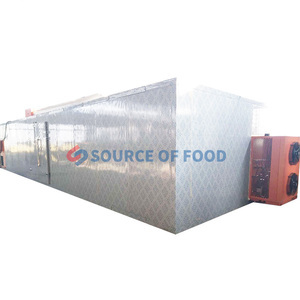 Salted fish drying machine products are most popular in Domestic Market, South Asia, and Southeast Asia. You can ensure product safety by selecting from certified suppliers, including 16 with ISO9001, 9 with OHSAS18001, and 6 with Other certification.